Have you noticed lately that your instagram photo posts aren't getting as many impressions and reaching a smaller audience? 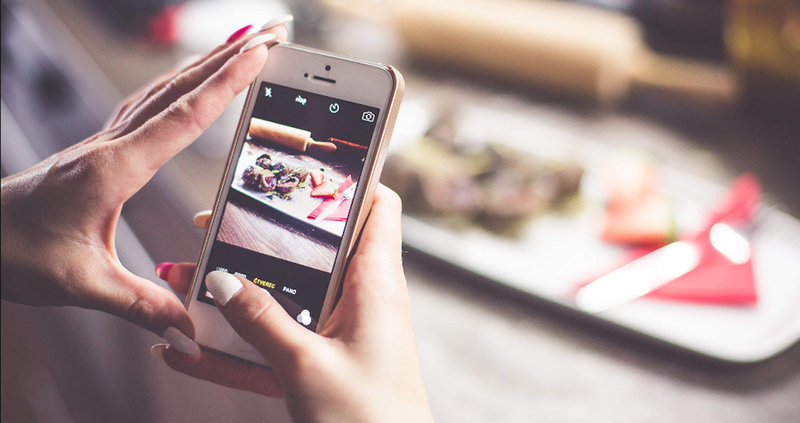 Part of the reason may be the increasing popularity of Instagram Stories, which are displayed more prominently across the top of your Instagram feed. Instagram Stories are short, 10-second videos or photos you can post from your phone. The quality of the videos and photos can be from your phone, so the content is more friendly and approachable. Have you been using this feature to market your business? 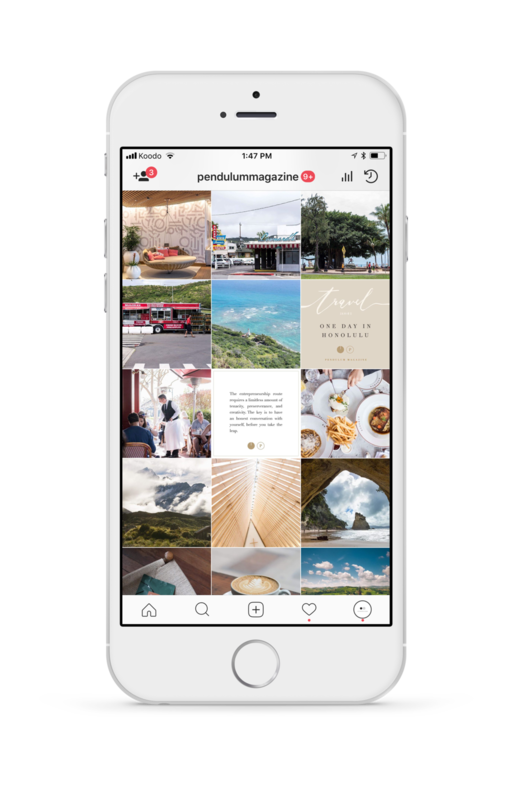 Here's how we utilize a mix of newsfeed posts and instagram stories to market Pendulum Magazine on Instagram. 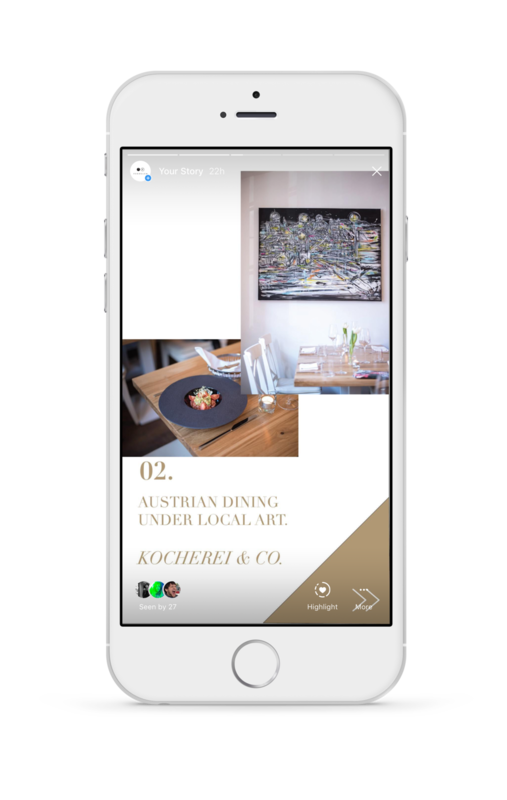 For the profile posts we post up to 6 times per week, with photos that are high resolution and adheres to the brand colours and tone of the overall Instagram profile. A visually appealing profile is a major factor in driving new followers. 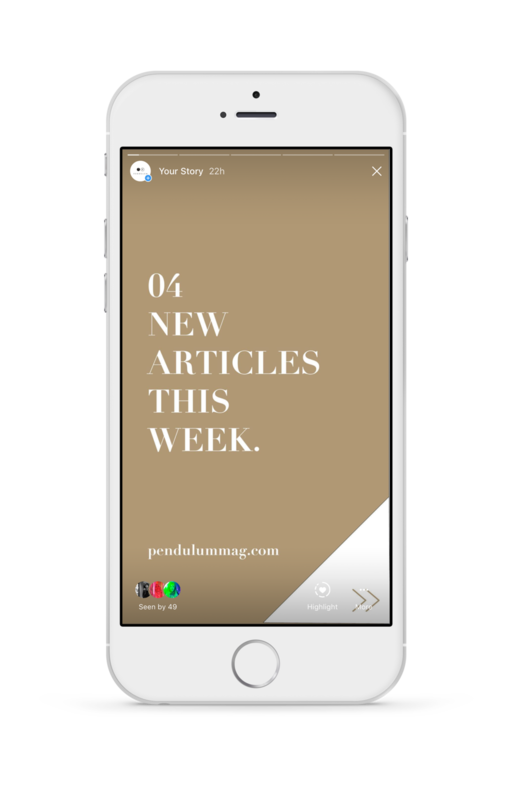 For each week there are 4-5 new articles that go up on pendulummag.com, and we promote these new articles using designed Instagram Stories like the ones below. this highlights for our followers what new content they can view on the website and through our profile. An impressive majority of over 80% of website visits are generated from Pendulum Magazine's social profiles. We update the link in bio as we promote a new article on the magazine, ensuring that traffic we are driving to the profile shows the latest content we want readers to see. 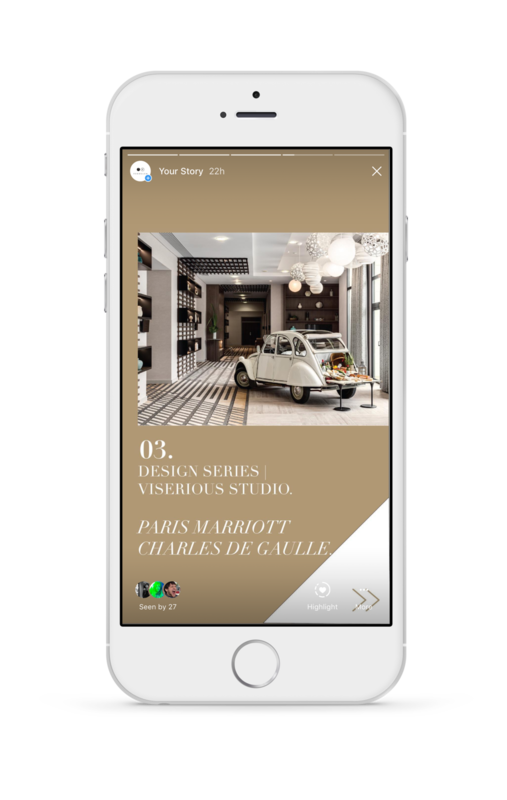 Design a unique look and feel to make your instagram stories instantly recognizable. Remember your brand's social profile is an extension of your other marketing channels, such as your website, mobile app, print advertising, direct marketing - the look and feel should be consistent across all channels. Conduct an objective audit of your current Instagram content, are you posting frequently enough? Are your Instagram Stories used to either drive traffic to your profile for more followers or to your website for new customer leads? Feel like you need professional help to design your Instagram profile and Instagram stories? Reach out to us using our contact form and our team will be in touch within 24 hours to assess your marketing needs!